Hungry for a late lunch or a delicious late night meal? Shanghai Express has you covered from 3pm all the way until 3 in the morning! I had heard from many of my friends how great this Asian restaurant is, so I was eager to give it a try! As soon as I walked into Shanghai Express, I was greeted by a group of friendly faces and offered an extensive menu. The menu almost seemed like a book because there were so many great options to choose from. I finally decided on my favorite Asian dish: hibachi chicken, fried rice and mixed vegetables. After a long day at work, it was really nice to be able to get my dinner to go and enjoy it on my back porch with my roommates. Since I have ordered a similar-sounding hibachi chicken dish during all of my other Asian dining experiences, I was not expecting this one to be much different. However, I was soon proven incorrect. The hibachi chicken, vegetables and rice from Shanghai Express were cooked to perfection. The chicken was cut into small pieces, turning out extremely tender and flavorful. I was also pleasantly surprised by the variety of vegetables that I received. This dish included carrots, mushrooms, zucchini, onions and broccoli. To top it all off, the white sauce that I poured on my food added a sweet flavorful contrast to my meal. 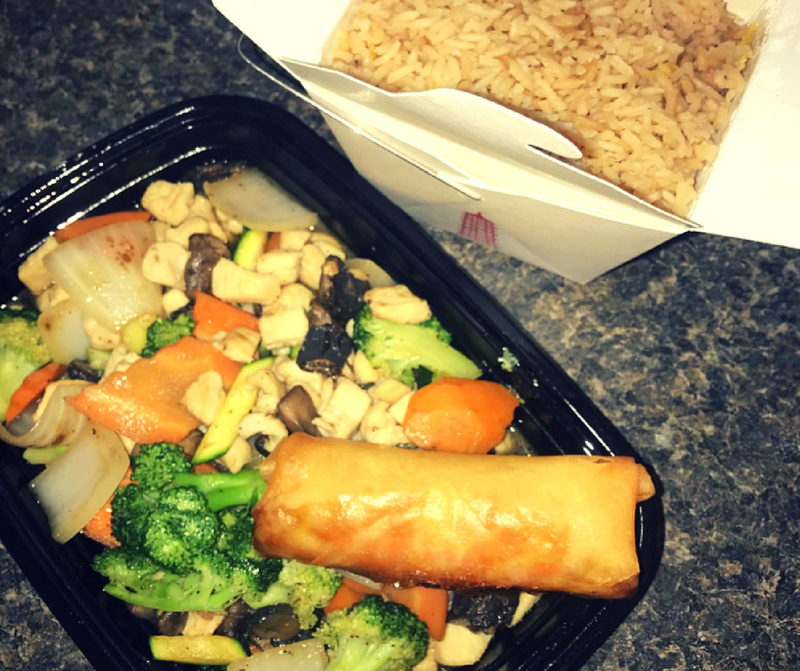 Although the hibachi was delicious, the best part of my experience at Shanghai Express was the spring roll – it was the perfect amount of crunchy on the outside and sweet & savory on the inside. Next time you are cruising down Hillsborough Street, stop by Shanghai Express for some delicious Asian cuisine. 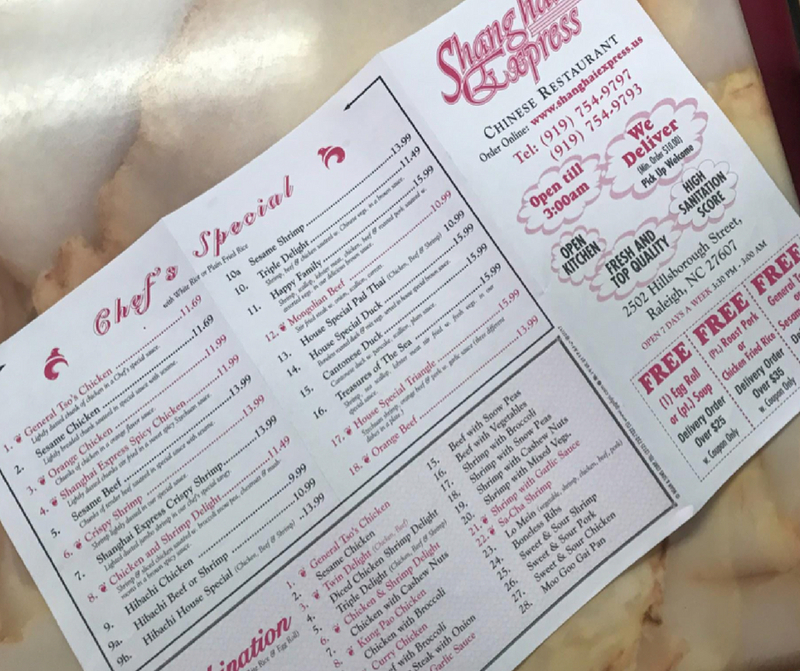 Even if you aren’t feeling like making the drive, Shanghai Express offers delivery services 7-days-a-week from 3:30pm to 3am!